Expert sleight of hand magic and mindreading by Magic Castle (CA) and Magic Circle (U.K.) member Seth Kramer. Signed playing cards disappear and re-appear in the strangest places, dollars change to hundreds, silverware moves and mysteriously bends, watches act mysteriously and much more. More than 25 years experience and 2000+ personal appearances at corporate and private events throughout the United States and Europe. Personalized one-of-a-kind stylings for your guests. Fabulously flamboyant. Ideal for cocktail hour. Interactive trivia game with our strolling trivia expert. $$$ for all. As seen on the Today Show with Matt Lauer and Katie Couric. The 60 Second Novelist will write a one of a kind creative life story for your guests. Always a big hit! Available again after a long engagement at Disney World Tokyo. This talented artist will create heirloom quality silhoutte portraits of your guests to be enjoyed for generations to come. She's amazing! Watch her quickly draw 25-30 portraits of your guests per hour (most caricaturists can only draw between 10-12/hr). Jodie Recently returned from Las Vegas where she won an international competition of over 200 caricaturists from all over the world. A new twist on the art of paper folding. Unique creations made out of dollar bills. Our expert paper folder will show you how to do it too. Learn how to make unique sculptures out of pipe cleaners. Baseball Caps, pencil toppers, flowers, jewelry and more. At Seth Kramer Productions, we have many ways to integrate cigars at your special event. We will send a highly trained, traditionally costumed, authentic Torcedor (cigar Roller) to hand roll cigars at your Cocktail Party or your Cordial hour. Test your skill against trick shot champ and world record holder Andy "The Magic Man" Segal. If you're lucky, he might teach you a trick (shot) or two. Will I be rich? Will I have children? What will I have for dinner? Find out all this and more with our entertaining (and informative) palm readers, tarot card readers and numerologists. 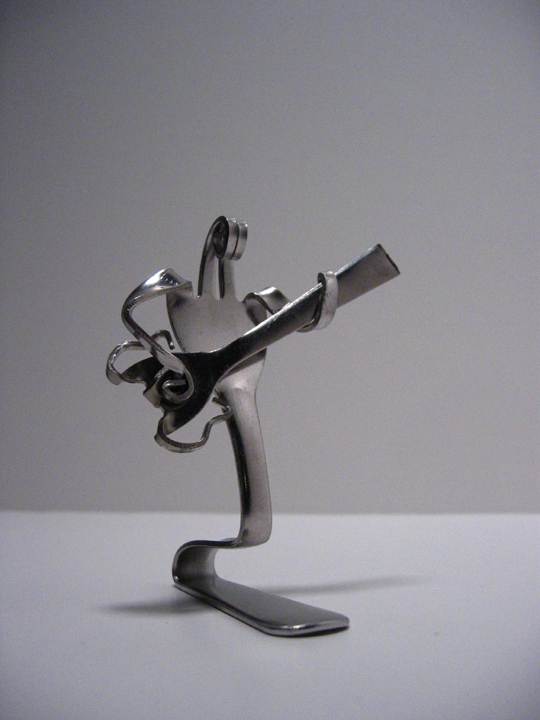 Unique works of art created out of an ordinary dinner fork. Presented in velvet keepsake pouch with custom hang tag.